These words above from Tim Cook (the underlined portion emphasized) show that Apple views Android’s fragmentation as terrible for both consumers (smartphone shoppers) and developers (those who create and update apps for consumers). But is this the case? The answer may not be as clear as Tim Cook would like it to be. I wouldn’t be completely honest with you if I didn’t say that fragmentation, in and of itself, gives off a negative connotation. It does. The truth of the matter is that anything that is fragmented is split (whether in halves or millions of tiny pieces) or incomplete. 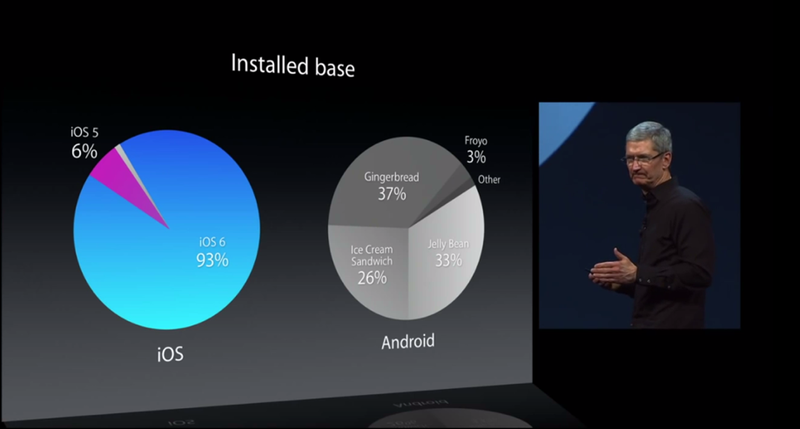 Thus, when Tim Cook says that Android is fragmented (and shows the chart of Android’s existing operating system upgrades (Gingerbread, Froyo, Ice Cream Sandwich, Jelly Bean), he is saying that the Android OS, as a whole, is divided. In saying this, Cook believes that any OS should have a unified user base, with all users on the same upgrade simultaneously. Whether this should be the case or not is a different story; however, even if Cook is right, iOS isn’t 100% unified either. Even on the chart Cook presented to show how many more iOS users are on the latest operating system, there was a slice of the chart (7%) of iOS users that are still not on iOS 6. While reports show currently that at least 56% of iOS users have downloaded iOS 7, as of two weeks ago, there has been no recent report that 100% of iOS users have downloaded iOS 7. The numbers are better than those for Android, but iOS still has some fragmentation of its own. I suppose that carriers and two-year contracts are to blame on both sides of the equation, so Android deserves some sort of break in this area. If Android is fragmented, so is iOS. 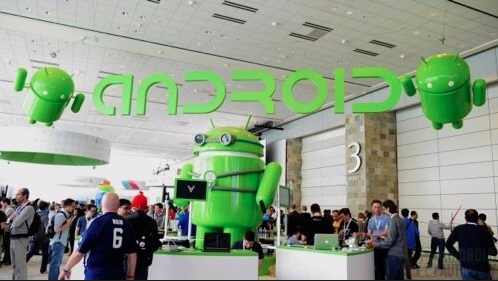 Google, however, has taken Tim Cook’s “fragmentation speech” regarding Android to heart and intends to do something about it in Android 4.4 KitKat. 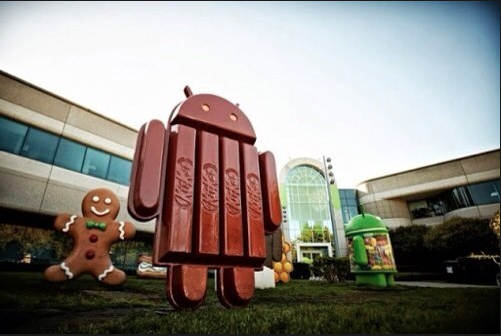 As I’ve written earlier, Google’s goal with Android 4.4 KitKat is “to make an amazing Android experience available for everybody.” It’s obvious, then, that Google has considered Tim Cook’s statement and intends to do something about it. Humility is always a mark of greatness. I am a huge lover of Apple products, owning an iPhone 4S, iPhone 5, iPod Touch 3rd-gen., iPad 3, and MacBook Pro. With that being said, I invest heavily into manufacturers and companies I admire. My sister worked for Apple for two years, and sold me on buying a MacBook Pro as the first laptop I paid for in full. I can respect and admire Apple while disagreeing with the company on some issues. At the same time, I think that Tim Cook always emphasizes the worst about fragmentation and seems to forget the benefits and the good. Fragmentation, by default, refers to division – but fragmentation can also be a good thing, indicating variety, choice, and self-expression. Take the writing on an American quarter, for example: it says E pluribus unum, Latin for out of the many, one. This Latin phrase refers to the “one” (one nation) while also emphasizing the “many.” This is why America has fifty states but only one nation. The fact that citizens of all fifty states can live in different geographic territories while still calling themselves Americans is an astounding thing. What is clear from this report is that Android fragmentation, of all varieties, is increasing. Too often this is treated as a problem with Android, rather than a strength, but we feel that this misses the bigger picture. While there are certainly problems associated with fragmentation (and as developers we know them all too well), it is wrong to suggest that it is only a downside. Apple are [sic] currently working on a lower-end device, increasing the fragmentation of their ecosystem in the process, suggesting that the Android ecosystem is not only doing something right, but doing something to be imitated. If one takes a look at the existence of the iPhone 5c, not to mention the “Androidified” additions to iOS 7, it’s clear that Android is doing something right.